Dr. Stanley Klein is Board Certified in Foot Surgery and a Diplomate of the American Board of Podiatric Surgery and a Fellow of the American College of Foot and Ankle Surgery. He has over 29 years of experience meeting the foot care needs of his patients. 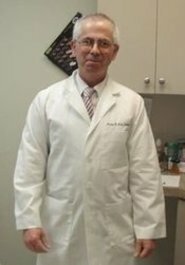 He specializes in all phases of diabetic, medical and surgical foot care, including Reconstructive Foot Surgery, PRP Platelet Rich Plasma Therapy, Diabetic and Arthritic Foot Management, Geriatric and Pediatric Foot Care, Trauma and Sports Medicine, Bunions, Hammertoes, Warts, Corns and Endoscopic Heel Spur Surgery. An authorized provider of Diabetic Therapeutic shoes. His staff is caring and experienced in patient care. Hospital Affiliations are as follows: Staten Island University Hospital, John F. Kennedy Medical Center, and Ambulatory Surgical Center of Union County.